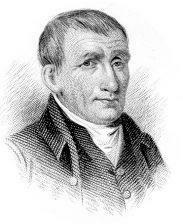 Bourne, Hugh, the principal founder of the Primitive Methodist Society, and the editor of their first hymn-books, was born at Fordhays, Stoke-on-Trent, April 3, 1772. His father, Joseph Bourne, a person in humble circumstances, was a member of the Church of England, whilst his mother belonged to the Wesleyan Society. His education, for his circumstances, was fairly good; and by earnest application to study he acquired some knowledge of Hebrew, Greek, and Latin. His mind was of a strongly devotional cast, and the Methodist movement of those days had such attractions for him that he joined himself thereto in 1709. The following year he went to reside near the Mow Cop Colliery, near Burslem, where he had secured an engagement. There, with two or three men of kindred spirit, he carried on a system of Prayer Meetings which culminated in a great Camp Meeting, after the American fashion, upon the Mow Cop Mountain, on Sunday, May 31st, 1807. Other camp meetings followed, but were condemned by the Wesleyan Conference later in the same year. Hugh Bourne, however, continued his evangelistic work in connection with the Wesleyan Society until June 27, 1808, when he was excommunicated, without notice or trial, by the Quarterly Meeting held at Burslem on that day. Subsequent acts of coolness and indifference on the part of the Wesleyan authorities, together with continued success in his evangelistic work, led him gradually to organize the Primitive Methodist Connexion. The decisive break occurred in 1810. From that date to his death, on the 11th Oct., 1852, Bourne gave himself to the work of extending and building up the Society of which he was practically the founder. He was the first editor of its magazine, and the first to compile a hymnal for its use. 1. O Righteous Father, Lord of all. Prayer for Children. 2. We have a great High Priest. H. P. of Christ. 1. A Pharisee unwisely stood. Lent. 2. Almighty God, of love divine. Praise. 3. Assist us, O Almighty Lord. Missions. 4. Come, let us lift our heart and voice. Christmas. 5. Come, with your sore diseases. Invitation. 6. Encouraged by Thy gracious word. Prayer. 7. Great Jehovah, Sovereign Lord. Prayer. 8. Hark, the Gospel news is sounding. Invitation. 9. Jesus, my Lord, was crucified. Passiontide. 10. Jesus, Who spilt His precious blood. The Advocate. 11. Led by the God of truth and grace. Seeking Heaven. 12. Light of the Gentile race. Missions. 13. My brethren in the Lord. Altered to— Ye foll'wers of the Lord. Faithfulness. 14. My soul is now united, &c. Altered to— By faith I am united. Union with Christ. 15. Now, Lord, I on Thy truth depend. Altered to— O Lord, I on Thy truth depend. Divine Aid. 16. Now, Lord, Thy blessing we implore. D. Blessing. 17. O, heavenly Zion, rise and shine. Altered to— Arise, O Zion, rise, &c. Missions. 18. See, in the mountain of the Lord. Missions. 19. Tho' in a world of sickness. Altered to— While in this world of sickness. Confidence. 20. To Thee, great Source of light. Confidence. 21. To Thee, O God of power divine. Goodness of God. 22. We now are journeying [going] to the place. Heavenward. 23. We read in Thy most holy word. Holy Baptism. 24. Ye sleeping souls, arise. Exhortation. 25. Welcome, 0 Saviour, to my heart. Prayer— which is well known to the American hymnals. From a literary point of view these hymns are not worthy of the position which has been accorded to them for so many years. Their simplicity is their redeeming feature. Bourne, Hugh, p. 165. ii., Nos. 14, "My soul is now united," and 19, "Tho' in a world of sickness," appeared in theSmall Hymn Book, 1821. Another hymn by Bourne and Sanders in the Primitive Methodist Hymnal, 1887, "Behold a sinner at Thy feet" (Penitence), is compiled from hymns 493 and 118 in the P. M. Large Hymn Book, 1824. Hugh Bourne (1772–1852) along with William Clowes was the joint founder of Primitive Methodism, the largest offshoot of Wesleyan Methodism and, in the mid nineteenth century, an influential Protestant Christian movement in its own right.